Eating Mel’s Granny Smith Salad was the first time I ever thought of a salad as being good. Today I will willingly eat a salad almost any day of the week. Heck, I even eat them for breakfast half the time! But growing up, salad was just one of those things that you had to eat in order to get ice cream after dinner. My mom (Mel) was a saint and cooked dinner almost every night, and she made a nice green salad to go with most meals. So I ate the obligatory scoop of green salad first to get it out of the way, and then proceeded to the real food on my plate. But when my mom made this granny smith salad for the first time, I actually remember thinking, this is salad? It tastes like candy! Probably because of the candied pecans, which let’s face it, they are kind of like candy. But they are totally what makes this salad. 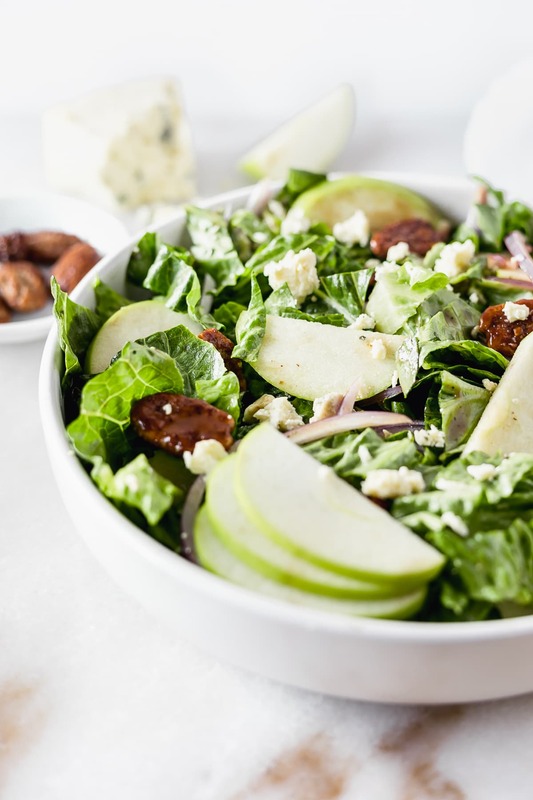 Add some granny smith apples, red onion, and blue cheese, and you’ve got yourself a winning, kid-will-eat-it salad! Ok, maybe not if your kid doesn’t like blue cheese or onions. But I was a weird kid. 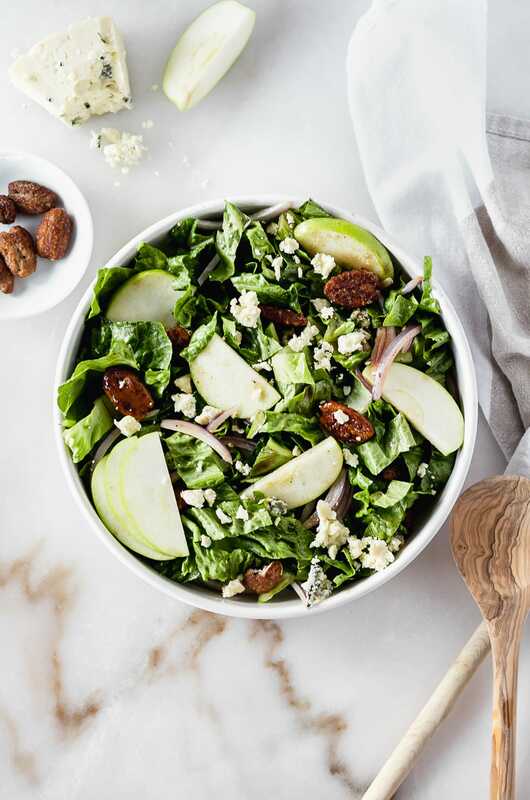 I still really love this granny smith salad. 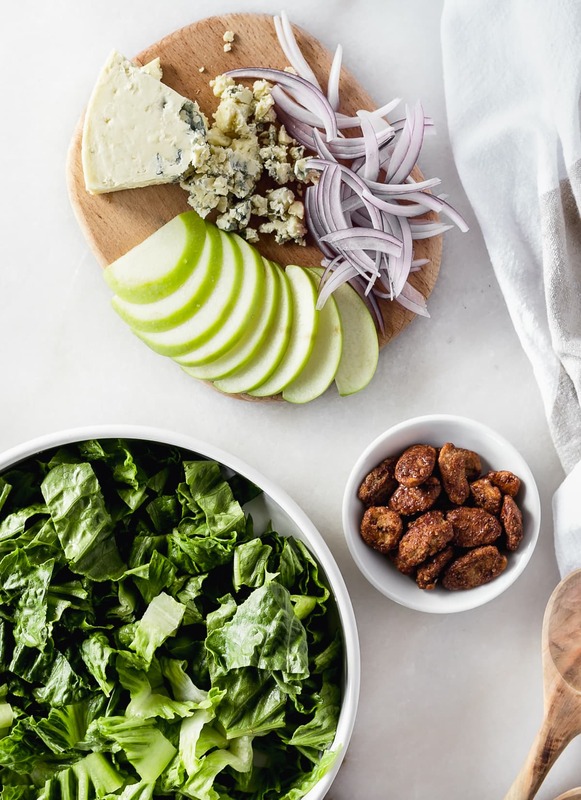 It’s so simple to throw together and the flavors are all just so good together. If you want a full meal, it goes really well with some grilled chicken or steak, too. I don’t remember what dressing my mom used to use, but I think it was blue cheese. I usually use balsamic because I don’t typically keep bottled dressings in the refrigerator, but I’m sure anything with a hint of sweet works nicely. Be sure to make this ASAP. I promise you won’t regret it! 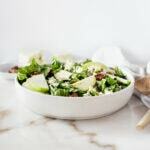 Add romaine or spring mix to a large bowl. Add apple, onion, blue cheese and candied pecans. 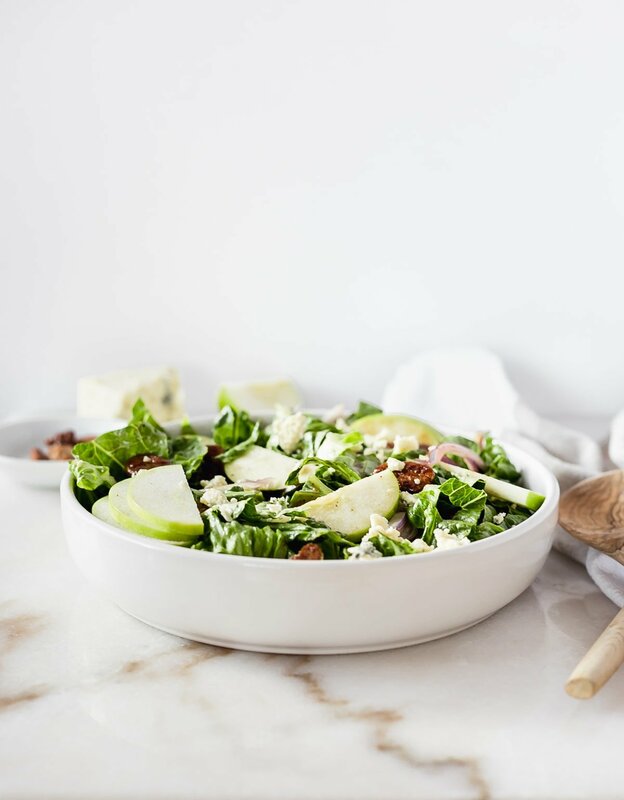 Drizzle dressing over salad and lightly toss to coat just before serving.